Het door Evans ontwikkelde EMAD-systeem dempt met een buitenring en maakt verdere demping van de basdrum overbodig. Met zijn hulp kan het geluid in een paar eenvoudige stappen worden veranderd. best bassdrum head for pop,funk,hardrock,metal,rock, R&B and between all. really hard punch with a warm sound. its an overal complete sound and is not really missing something for these styles of music, on one condition you need to hit it hard for a warm complete sound. so hit it! thats why this head wont work for soft blues, classical and jazz. the reason for this is if you crank the head up the sound gets to blurry for an transparant sound what you would like with this kind of music. though if youre searching to transform your bassdrum into a canon you need to get EMAD! Ideal for bass drum tuning when you don't want your batter head the resonate much. Also ideal for when you keep the beater against the head after beating. Only for jazz drumming, when you want your bass drum to resonate, it is not recommended. 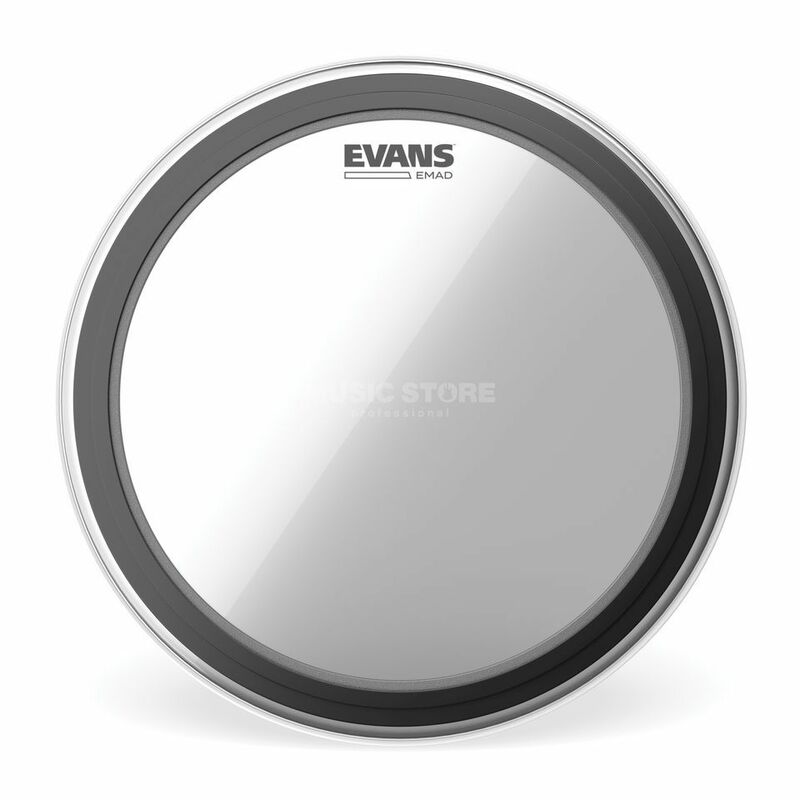 But for giving your bass drum a clean, kick sound, it is a very good, easily tunable drum head.